Manhattan, New York, c. 1930. Photo credit: US National Archives/Wikimedia Commons. A title like The Boy Detective conjures up images of a man remembering his times as he pretended to be a private investigator during his childhood. Although it does include a boy’s fascination with hard-boiled detective stories, it is more than that. Rosenblatt’s little memoir is a charming, rather rose-coloured look about growing up in 1940s New York. 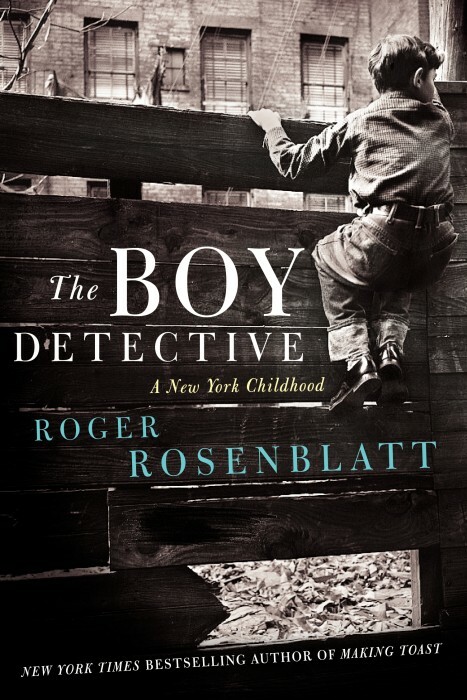 From anecdotes about his father to discussions on dreams, from a tour of the city to a survey of English detective literature, Rosenblatt writes as if we are an old friend of his, complete with addressing questions to us with the term “pal”, whose identity Rosenblatt slowly reveals in small details (but not completely) through the story. It takes on a tone, at times, perhaps consciously, of a hard-boiled detective story, the interest/obsession of Rosenblatt’s childhood; the manner of writing adds a humorous tone to the memoir. Rosenblatt knows how to write and writes poetically, clearly, with a tinge of irony as well. Rosenblatt’s story unfolds through short vignettes; we get glimpses of his father, his mother, and Rosenblatt as a child throughout the times. He touches on subjects such as growing up Jewish in New York and his work as (no surprise) a memoir writing teacher. One anecdote I liked how Sherlock Holmes appears and reappears throughout the author’s narrative, emerging, perhaps, as a symbol of his childhood dreams. Basil Rathbone (of the 1930s and 1940s Sherlock Holmes films with Nigel Bruce) also makes a cameo appearance; the thing I liked about that anecdote was that Rosenblatt did not question Rathbone whether he enjoyed playing Holmes, because, of course, Rathbone really was Holmes, you see. One possible negative is that the writing rambles and it is disjointed; Rosenblatt jumps back and forth from reminiscences of his childhood to when he revisits his childhood neighbourhood as an adult throughout the book. It is easy to get lost in the jump back and forth between subjects, and there is not really a clear narrative. Still, this book is worth a read. Recommended.